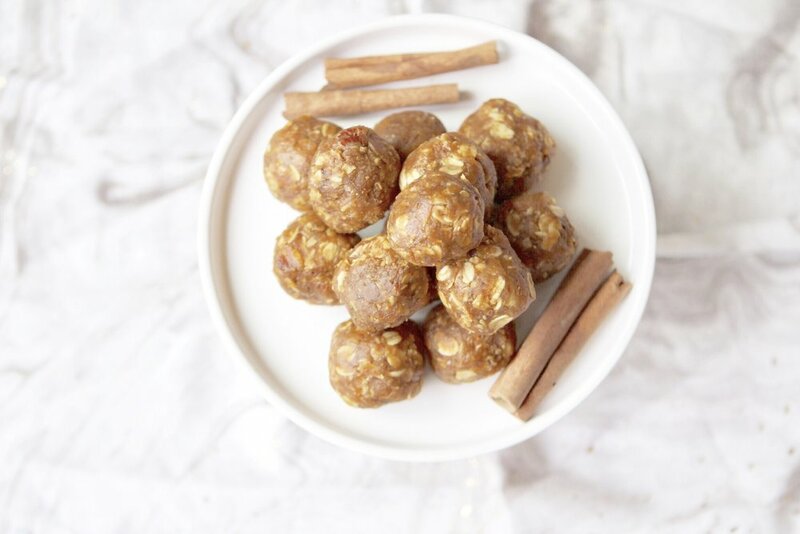 I love making energy balls because they're a quick grab-n-go snack that is nutrient dense. They're also really small so they're easy to bring on the go in a ziplock in my purse or whatever. They're a great snack for before working out because they don't make you really full but they reboost you/give you energy. I thought that it'd be a good idea to put a fall twist on them and I'm so glad that I did! These will not disappoint. Combine all of the ingredients in a large mixing bowl. Wet your hands with a little bit of water and then roll the mixture into 1.5 inch round balls. Store the energy balls in an airtight container/Tupperware in your refrigerator for up to 2 weeks.